This 2 Pieces Short Set is perfect for Easter, special occasion, graduation, wedding, formal, birthday or any events. Ruffle Off Shoulder Crop Top with Short. High Waist Short perfect for summer. 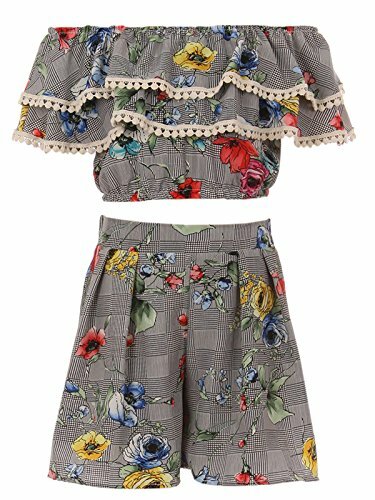 Loose Fit Casual Floral Print 2 Pieces Short set for girls clothing. If you have any questions about this product by BNY Corner, contact us by completing and submitting the form below. If you are looking for a specif part number, please include it with your message.